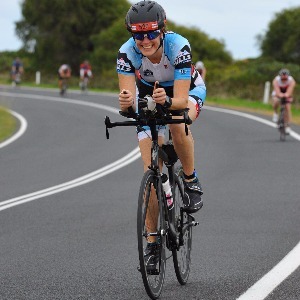 Personalised/remote coaching programs for triathlon, running or swimming. Performance gains & meeting goals. Inclusive & supportive environment for all athletes regardless of level. Goal appropriate training (even if that goal is to meet people). Group sessions for fun, fitness & friendship. Encouragement to all levels of athletes to get involved & stay active. Third in age group WA Telstra pursuit series 2014-2015 tri season. Busselton 70.3 2015 & 2016. Numerous top ten age group local tri & run events. Marathon, half marathon, beginner runners. I like to see my athletes succeed but within the boundaries of their lives. This way everything is sustainable & the risk of burn out & injury diminishes. Training definitely can be sustainable & performance goals met within those boundaries. Training should be challenging but satisfying and achievable, I will work with you to reach your performance goals while finding a balance. At Energise coaching we believe in quality over quantity and finding what works for you so that you can meet your performance targets. No requirements, I will work around the athlete and their equipment, their lifestyle and their current level of fitness. Success. Coach Peta Woodland has been notified of your message. 16 week 70.3/half ironman plan - Novice, mature, low fitness starting point athletes - reusable.